I'll tell you something, it won't be a silent night if you're making a batch of these for friends! 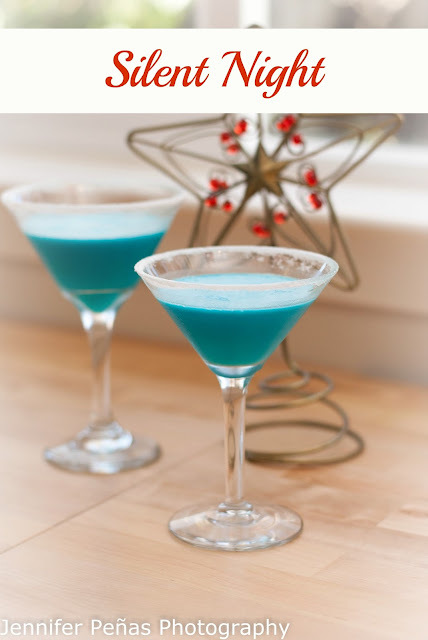 One of my best friends found this cocktail and pinned it on Pinterest for me to see, the link led me here to Grin and Bake It. It sounded delicious and once again, I had to wait for Thanksgiving to be over to make it. Oh and our soccer season is officially over and we now can start having family time during the weekends! Just in time for the holidays!! This is a very good cocktail. I think it would be just as good even better if it was blended! Yum.......perhaps I'll go try that right now? OK, finish this blog post and then go try it, got it. 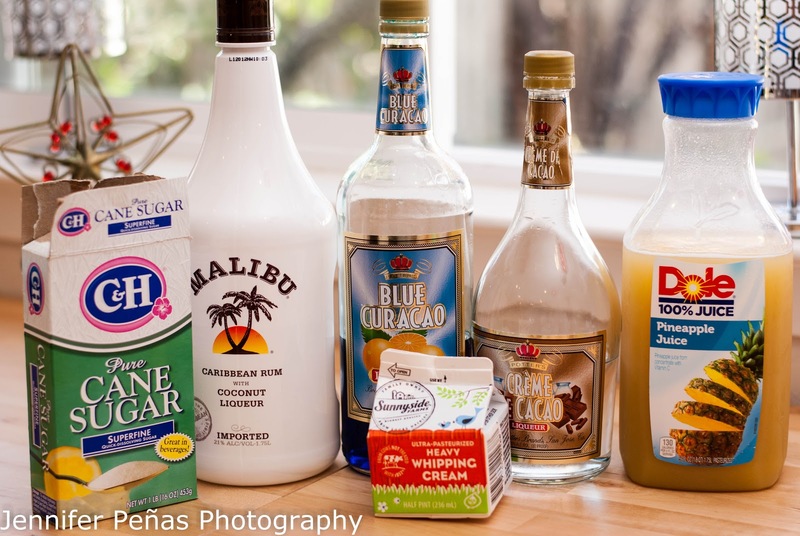 I already knew that Malibu and pineapple went well together, add the creme de cacao and blue curacao.....amazing, plus a sugar rimmed glass.....genius! 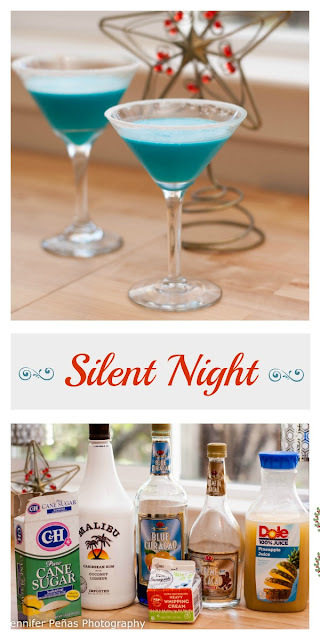 This will be another holiday (or any day really) crowd pleaser! Rim your martini glass with the sugar listed above. In a shaker, add ice and the rest of the ingredients above. Shake and strain your cocktail into your rimmed martini glass and enjoy!! Thanks Natty for fining tonight's cocktail, and YES I will make you one when you come up next time. This was visually beautiful, but unmemorable to drink. I think I'm learning that a little blue curacao goes a long way for me and if I try this again, I'll cut it back a little bit. It surely was pretty, though! Oh it absolutely does. 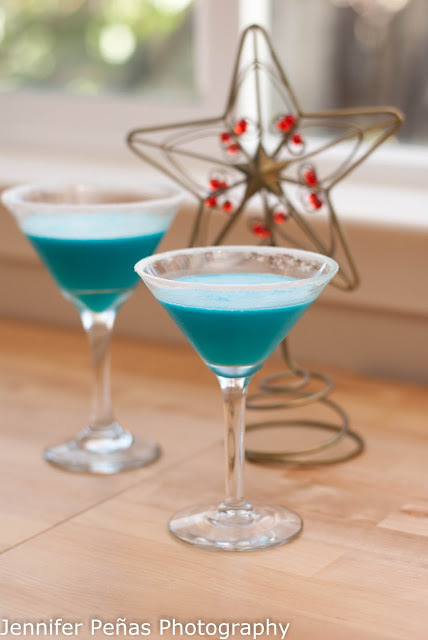 You could even try adding in creme de cacao what you cut back in blue curacao. Might be interesting. Sorry you didn't love it.